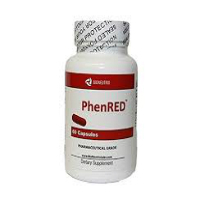 PhenRED is marketed as a non-prescription alternative to popular prescription drugs, such as Phentermine and Adipex-P. 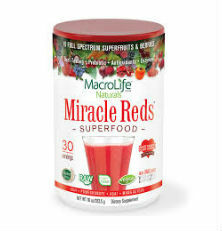 It is a dietary supplement that promises to deliver maximum weight loss, extreme appetite suppression, enhanced focus and mood, and a powerful energy rush. 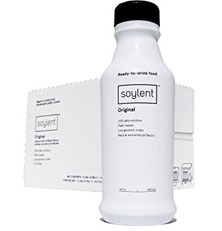 This dietary supplement is meant to be used by healthy adults. The suggested dosage is to take 2 capsules on an empty stomach after waking up or as directed by your healthcare provider. The makers of PhenRED claim that the formula is “clinically proven.” When this review was written, this formula was composed of these ingredients: Trimethylxanthine, Theobromine, Yohimbe Bark Extract, Beta-Phenylethylamine HCL, Synephrine HCL. Depending on how familiar you are with the above ingredients, the first thing you might notice about this formula is that it is composed of stimulants. As such, there is a very good chance that of all the effects this product claims to have on weight loss, you will – at the very least – experience mental alertness. You may also feel more energized, which could be beneficial in helping you keep up with your exercise goals and your desire to burn as much fat as possible. Still, there is no scientific proof that taking any of these ingredients will lead to long-term measureable fat loss. Therefore, the “clinically proven” formula claim is false. What’s more, even if this proof existed, the risk of negative side effects from taking this combination of stimulants is likely to outweigh any potential benefits. Due to the quantity of stimulants in PhenRED, there is an increased risk of experiencing adverse effects, including insomnia, restlessness, jitters, anxiety, headache, mood changes, irritability, upset stomach, heart palpitations, rapid heartbeat, etc. Even more alarming, the FDA has warned that the combination of caffeine (trimethylxanthine) and synephrine (the naturally occurring stimulant in bitter orange) may result in serious cardiovascular effects, even for healthy adults who take it. These adverse effects include high blood pressure, fainting, heart attack and stroke. 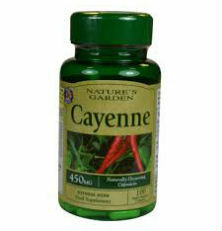 Due to the fact that PhenRED contains so many stimulant ingredients and combines both caffeine and syneprhine, it is strongly recommended that you avoid taking this dietary supplement for weight management. There are other non-prescription phentermine alternatives available that you can take, which are likely to be a safer option for you. Nevertheless, if you feel that PhenRED is a risk worth taking as an alternative to Phentermine, do not do so without first consulting with your healthcare provider. This is especially prudent if you are pregnant, nursing, are planning to be become pregnant, have an existing medical condition or are currently taking other medications or herbs to treat a health condition. Always err on the side of caution.